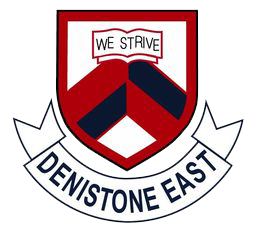 Denistone East Public School has been providing quality education to the local area for the past sixty three years. The school is an integral part of the Northern Sydney Region. In addition to the regular school curriculum, the school provides several unique programs which cater for the needs of our students. The school enjoys a strong reputation in creative arts, sport and gifted and talented education. The school's stated aim is to help children develop to their full potential through the school motto ‘we strive’. The school's expectations of being motivated, respectful, proud and safe underpin everything we do. The school strives to ensure that all children have the confidence to learn by providing positive, caring teaching, through a diverse and integrated curriculum which attempts to cater for a wide range of both society's and children's needs in a pleasant and ordered environment.